You can spray paint your own shuffleboard court. Shuffleboard is a pastime of those in temperate climates who enjoy leisurely outdoor activities. You can travel to a facility that provides shuffleboard courts, or you can construct one in your own home on your driveway. Put on rubber gloves and protective goggles. To clean your driveway, pour the muriatic acid onto the concrete of the driveway, following all safety precautions on the bottle. Let it sit for ten minutes. Rinse the driveway with the hose, flooding the driveway completely. Run the water for at least 30 minutes to be sure all the acid is gone. Let the driveway air dry completely. Lay out your shuffleboard stencils according to the template provided. Depending on the company from which you purchase the stencils, there may be a different number of pieces, but they will all be numbered so you know which piece goes where. Follow the diagram provided with the stencils. 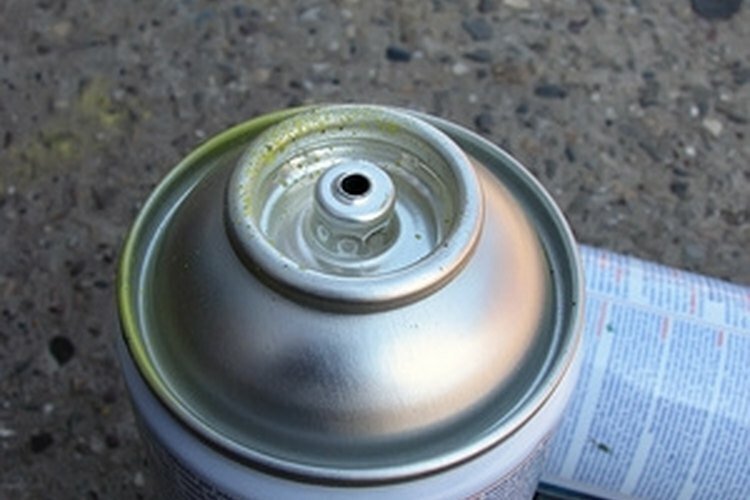 Shake the can of spray paint in whatever color you have chosen. Starting with the first stencil, aim the nozzle directly at the stencil, holding the can six inches from the surface of the concrete. Spray the stencil. Remove the stencil immediately. Repeat this with each stencil, removing the stencils from the concrete as you go. Let the spray paint dry completely. Drying time will vary with your climate. Pour the concrete sealer into a paint tray. Dip the paint roller into the paint tray and roll the sealer onto the concrete. Let the first coat dry for 45 minutes, then add a second coat. Let it dry overnight. Apply the shuffleboard wax to the concrete according to the instructions on the label, which will vary with brand.